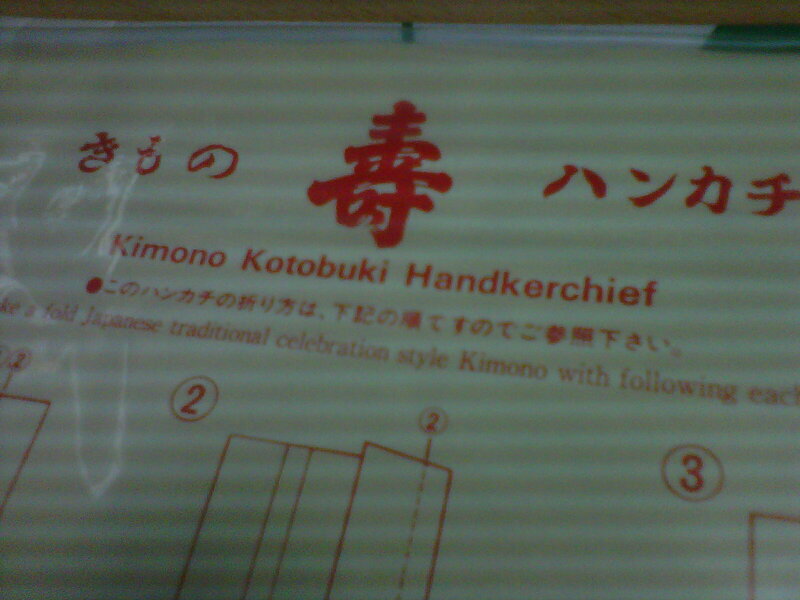 I receive this amazingly beautiful gift today from a Japanese friend of mine. 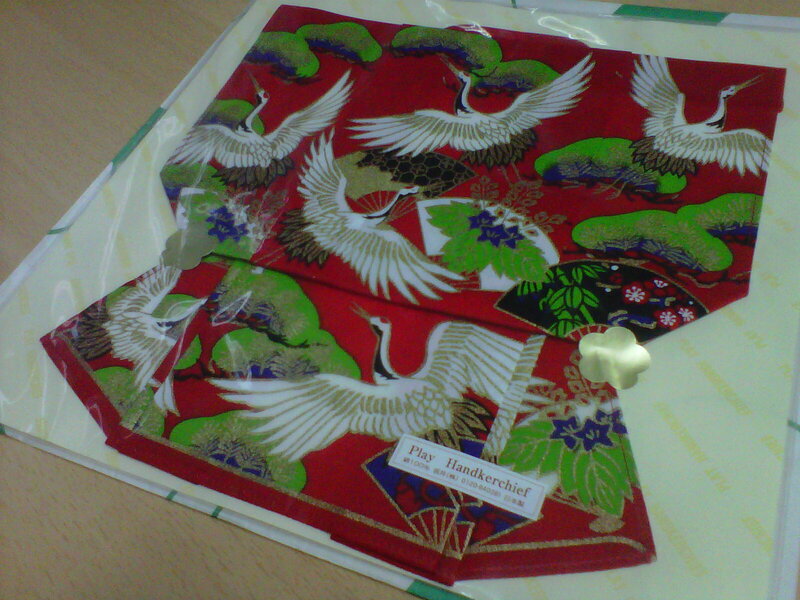 It’s actually a piece of handkerchief which was folded (in origami-style) to resemble a kimono. means wishing longevity or congratulation. Also used as a good wishes in weddings or child-birth. What amazes me is how the pictures matches with each fold and joins perfectly.